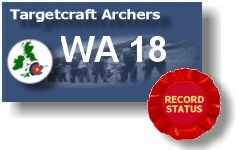 The competitions listed below will be hosted by Targetcraft Archers at one of our two venues during 2019. If you would like to take part in any of them, the listings contain a link to their respective entry forms which should be completed and returned to us as indicated on the forms. Results and photos of each competition will be accessible here shortly after each event. Competition results and photos from previous years can be found using the link on the left..
2 - If PayPal payment is not sent as a personal payment or a gift a surcharge of 10% will be due when registering for the competition. 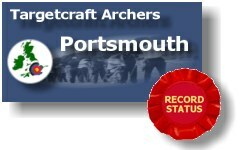 Competition: Targetcraft Archers 13th Annual Portsmouth Competition. Record status.